Home / free west papua / free west papua campaign / free west papua movement / indonesia / info papua / News / news free west papua / NKRI / papua / papua barat / west papua / west papua history / JOE NATUMAN, FORMER PRIME MINISTER OF VANUATU A VERY CUNNING AND AUTHORITARIAN! JOE NATUMAN, FORMER PRIME MINISTER OF VANUATU A VERY CUNNING AND AUTHORITARIAN! Joe Natuman is a former Vanuatu Prime Minister from the Vanuaaku Party. One of the party's programs is to support the separatist movement, Papua Merdeka. During his leadership, Joe Natuman was an authoritarian and cunning leader, using his power to undermine law and political law enforcement agencies in Vanuatu, for his personal and group interests. In 2016, Joe Natuman was reported on conspiracy charges to weaken the courts of law and police, to win the alleged involvement of a rebellion case against senior high-ranking officials at Vanuatu police. This allegation was reinforced by the involvement of Aru Maralu (Commissioner of Police) who did his work on the instructions of former Vanuatu Prime Joe Natuman. In addition, other cunning and controversial acts, by providing support to the Free Papua Movement or ULMWP movement, are conducted to draw attention from countries in the Melanesian Region, the Pacific and the world, to the existence and actions taken. The campaign to support the separatist movement of the Free Papua Movement by the government of Joe Natuman, is nothing but to cover his authoritarian leadership cases. 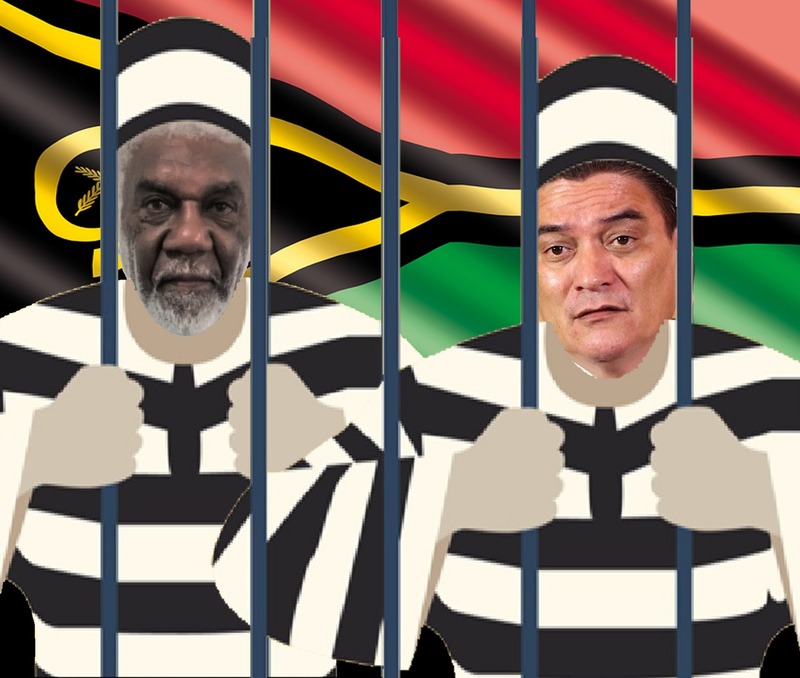 Former Prime Minister Joe Natuman will serve his sentence on March 16, 2018, according to Moana Karkas, who is also former Prime Minister of Vanuatu. Joe Natuman faces charges of conspiracy to defeat or weaken the court over police rebellion cases and abuse his position as prime minister and police minister. Joe Natuman was involved in a conspiracy to suspend an investigation into an insurgency case involving his rival, high-ranking high-ranking officials in the country's police force. Aru Maralu, who later acted as the Police Commissioner, who executes the instructions of former Prime Minister Joe Natuman, also faces similar allegations. Moana Karkas is currently serving his sentence for bribery.